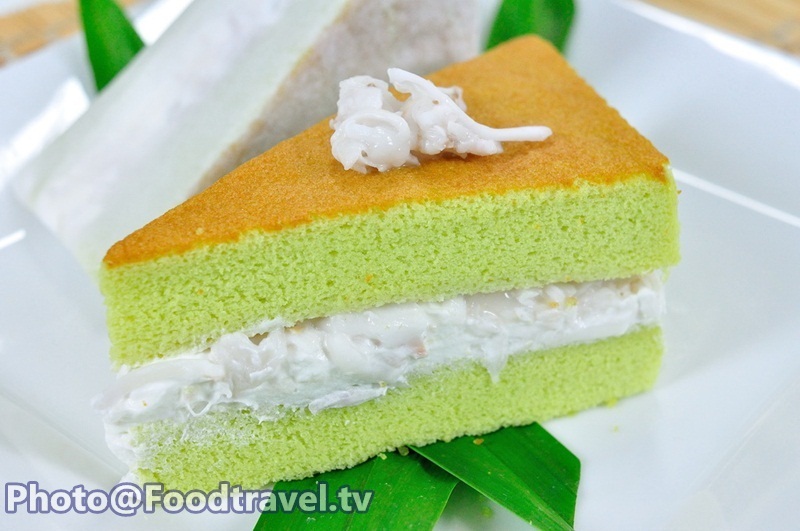 Pandan and Young Coconut Chiffon Cake (Chiffon Cake Bai Toey Ma Prao Aon) - Another delicious soft pandan cake. If you like coconut, you can add more. 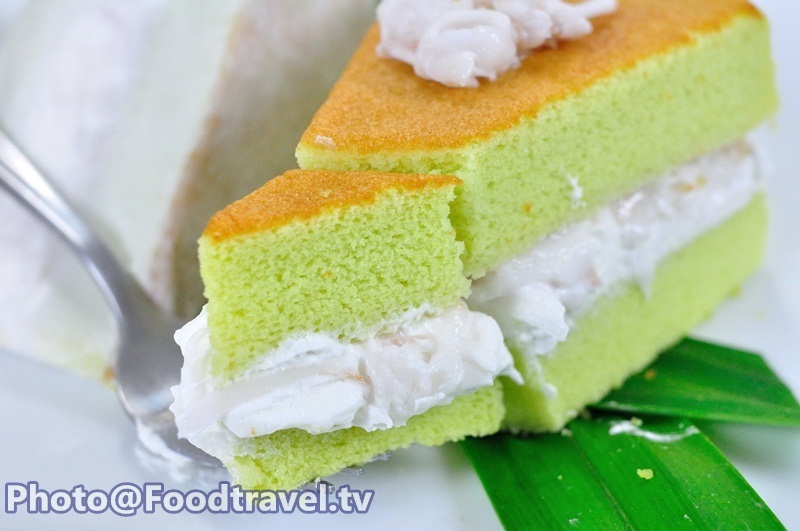 Try and enjoy this delicious ‘Pandan and Young Coconut Chiffon Cake’. 1. Heated oven at 175 C.
2. Sift all purpose flour, baking powder, salt, sugar and set aside. (dried mixture). 3. Add oil, milk, egg yolk lime juice and stir until combine. 4. Add dried mixture into the wet mixture and mix thoroughly together. Then set aside. 5. 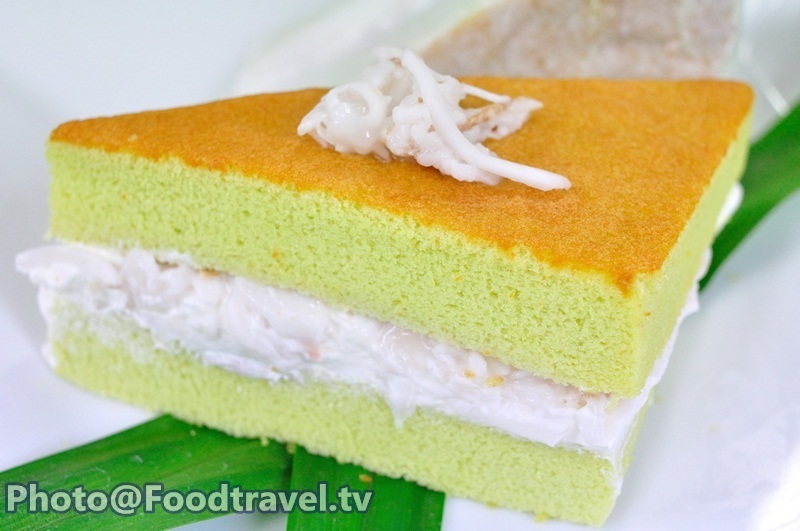 Beat egg and put cream of Tartar, the mixture part 2 and beat until combine. 6. Beat egg yolk and put in the first mixture. Mix thoroughly. 7. Prepared baking tray and place with baking paper. Bake at 175 degrees for about 18-20 minutes. 8. Stay cookies to cool on wire rack. 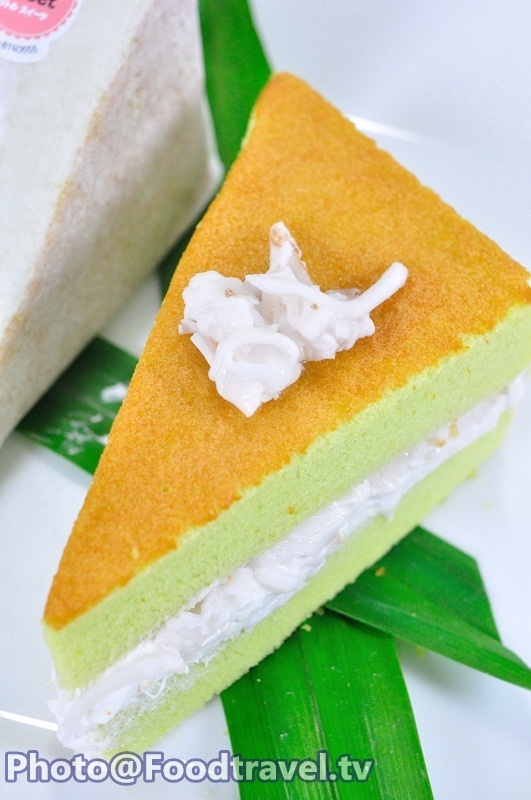 And cut the cake into piece. 9. Beat whipping cream. 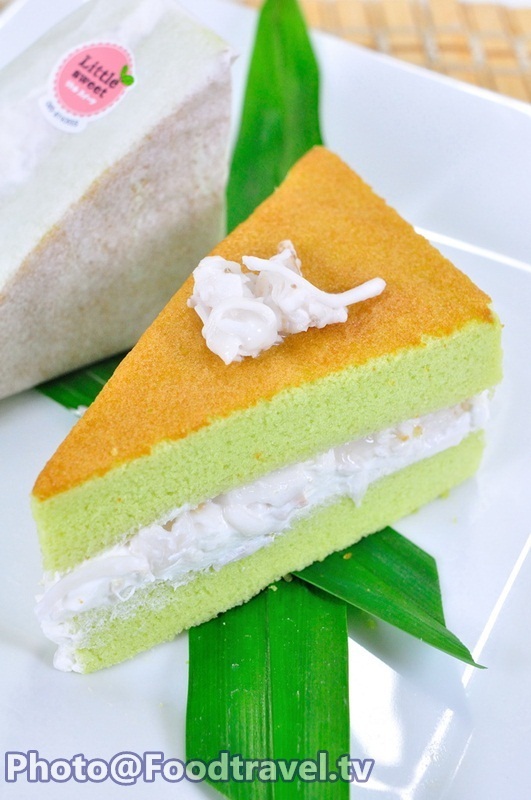 Slice a piece of cake. 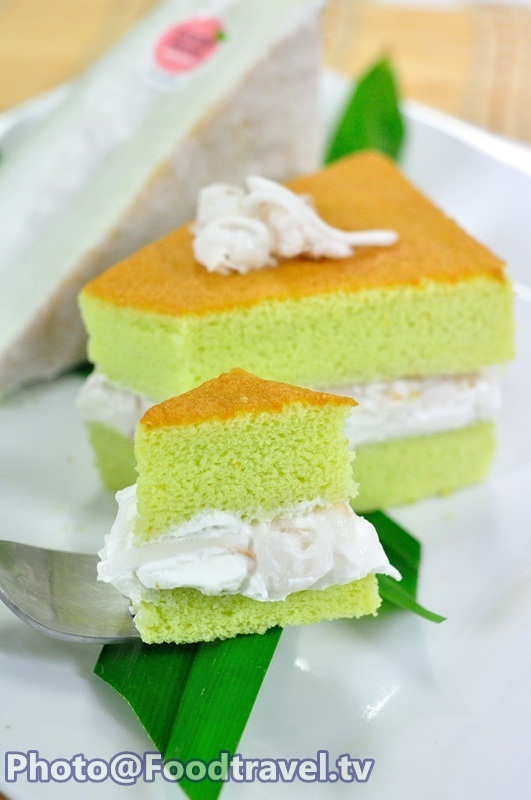 Sprinkle with young coconut and combine with another piece of cake. Put in the refrigerator for at least half an hour to set the cream. 10. 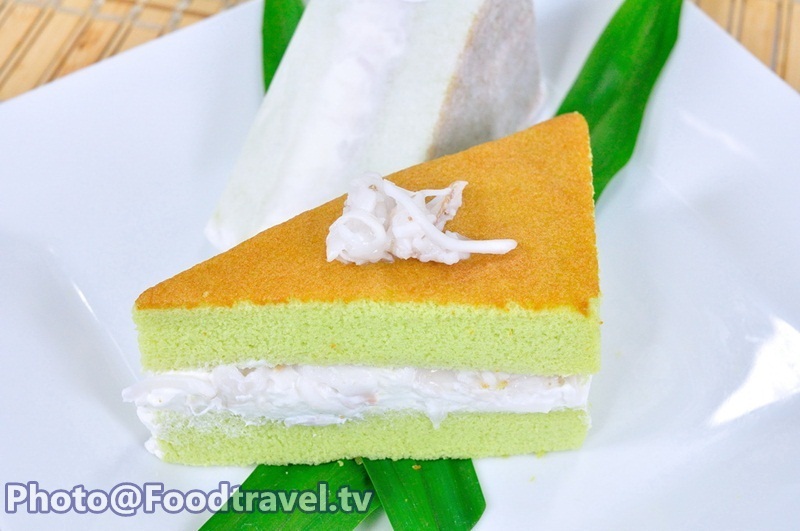 Then use a knife to cut the cake into pieces as you like. 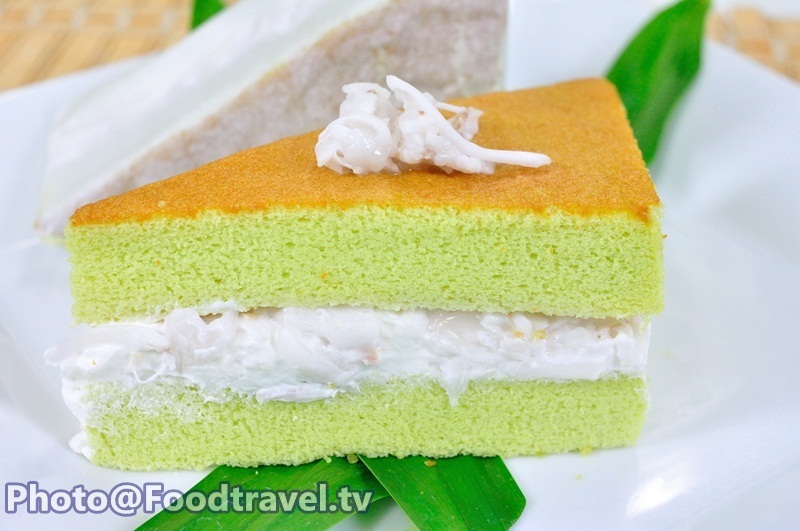 Pandan and Young Coconut Chiffon Cake (Chiffon Cake Bai Toey Ma Prao Aon) – Another delicious soft pandan cake. 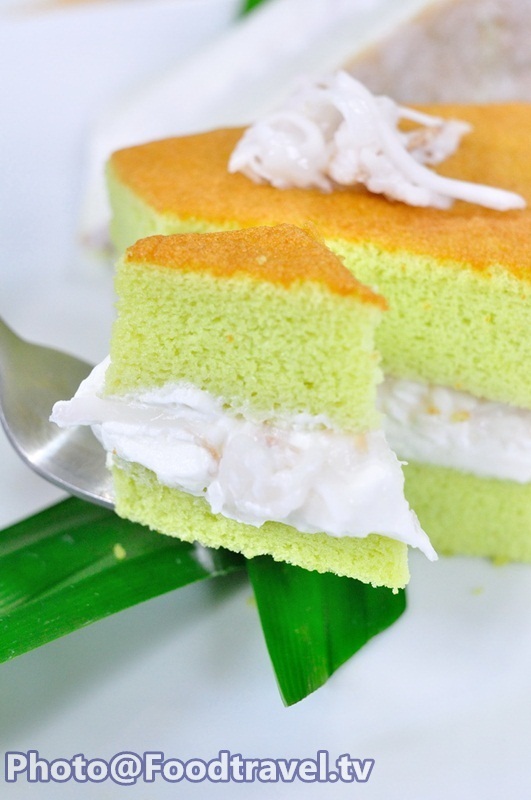 If you like coconut, you can add more. 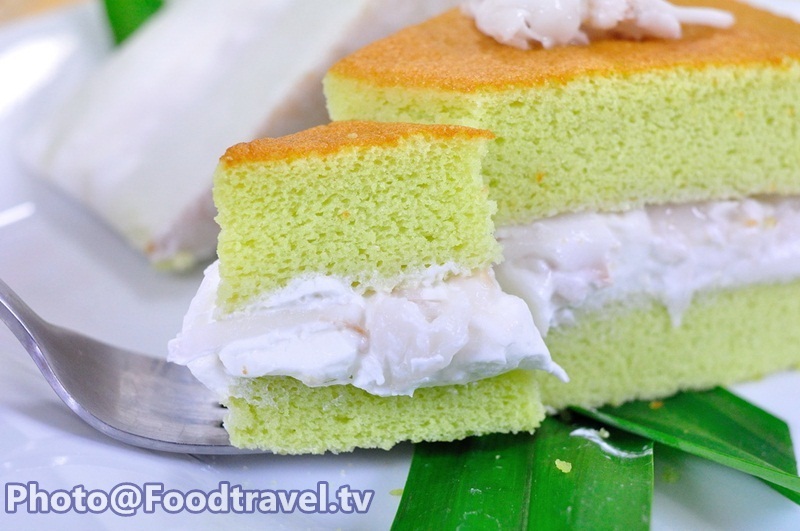 Try and enjoy this delicious ‘Pandan and Young Coconut Chiffon Cake’.